When was the last time you really looked forward to the release of a new movie or TV show? Did you voraciously consume any trailers or behind-the-scenes info you could find? Did you count down the days until it premiered? When it finally came out, how did you feel? 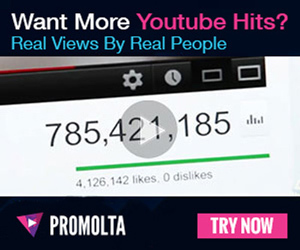 Now, what if you could get viewers to feel the same sort of excitement for your new YouTube videos? Before you upload, you should generate as much hype around your upcoming video as you can. 1. Utilize the YouTube Premieres feature. The Premieres feature automatically creates a public watch page for your video, where you can chat with your viewers. You can even monetize your Premiere by enabling Super Chat. Premieres is a relatively new feature not many vloggers are utilizing to its fullest extent. If you want to learn more about using the Premieres feature, be sure to check out this post. 2. Hold a live stream countdown. YouTube also has its own live streaming feature, which you can use to hold a pre-video countdown with your fans. As you’re uploading your new video, go live and chat with your audience. Not only will a live stream catch their attention, but it will also help you get more views as soon as your video goes live. Vloggers like Jacksfilms occasionally hold live streams before uploading new videos. Before going live, Jack tweets to alert his audience. Generating hype for your new video requires generating interest. Think of your teaser material as the behind-the-scenes exclusives from a movie set. What can you share with viewers that will get them talking without giving away too much? For example, you could tweet something shocking related to your video, keeping it vague the way Jeffree Star did before uploading a video about a burglary. Finally, give your upcoming video the full Hollywood treatment by creating a trailer at least a week in advance. Edit together a small segment from the footage you already have. Keep it short, simple and shocking. If you don’t want to upload the trailer to your channel, you can put it on Instagram or Twitter. Because tweets are so easily shareable, tweeting your channel trailer will likely help you reach the most potential viewers. Before you upload your next video, promote it to build hype and increase your viewership. Share teasers and trailers with your audience, and use YouTube Premieres.